There is an inescapable urgency embedded within indie four-piece Soft Corporate’s debut single “Boats.” Immediately gripping listeners with fragile guitar sequences that tremble in their repetition, Soft Corporate beg us to join them on a breathtaking metaphorical and literal journey. 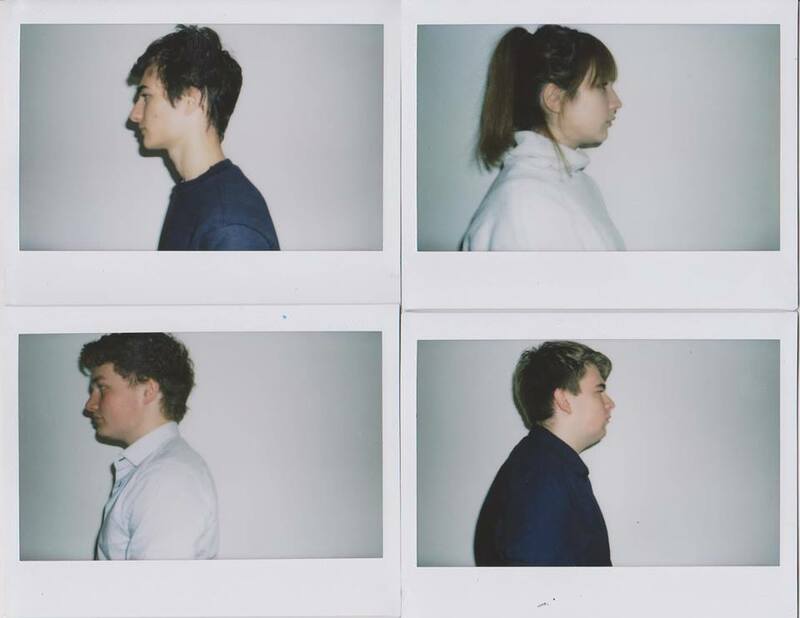 In case you’re familiar with the Australian indie music scene, Melbourne’s When We Were Small changed their name to Soft Corporate earlier this year and released their debut single in late May. However, “Boats” doesn’t need an introduction, nor does it ask for one. The song establishes its own musical framework from the onset, with Jack Cross and Troy Sheehan’s synchronized guitar hits blending fluidly as Madeline Booth’s bass and Reuben Dyer’s drums provide a rhythmic, forward-driving anchor. Booth’s bass is at once in-your-face and reserved, melodically contrasting with the guitars in the verses and supporting the melody through perfectly-timed pumps in the chorus. Less than ten seconds transpire before Sheehan breaks into the song’s first verse. The quick start is jarring, but Soft Corporate transition is flawless: They deftly catch us as the ground crumbles beneath our feet. Sheehan sings from the perspective of an armed forces leader of sorts – someone calling the shots. Whether he leads an expeditionary force, a rebel battalion, or simply himself and another is unknown: His address is directed at you. Since the listener is the only you in sight, one can easily listen to the instructions as if one were a foot soldier in Soft Corporate’s phantasmagorical army. “There’s never been so much of this at stake,” Sheehan sings before the bass and drums fall out. What’s going on? What’s at stake? Who/What are we fighting for? These are the questions Soft Corporate want us to ask. Without being explicit, they demand that their listeners ponder the meaning of their music. Everyone loves a good fight song, but is this really a tune about the battlefield? Possibly, yes. Possibly, no; the beauty of music lies in its chameleonic ways. We listen for what we want to hear, and if we want to hear a battlefront story, then “Boats” offers an epic tale. Of course, War takes many shapes and forms. We speak of battles and wars when we speak of not only physical fighting, but also emotional wrestling. “Boats” is as much a windswept journey from a bloody gorge as it is a heart-wrecked ballad from the embattled soul. Sheehan croons the chorus once, supported by a lone guitar. Then, he sings it again. The heat of the moment stings heavily upon the listener as a heavy thud from the bass drum drains the energy at the chorus’ end. Why does finality have to feel so final? Everyone has their own tale of love, loss, struggle, defeat, perseverance, determination. It speaks to the power of the human spirit that we feel compelled to share our weakest and strongest moments with one another: These are what bond us closest together. Soft Corporate’s “Boats” may not be explicit about its underlying emotions and content, but the raw string of hope that threads its way through the song’s increasingly vivid lyrics tells wonders of the layers below Soft Corporate’s metaphor-ridden lyrical surface. The drive to save a connection between two people – this is about as authentically human as a song can get. Sheehan’s singing over open chords leaves space for air and emotion to breath seamlessly through the piece. That space doesn’t get to stay open, though. Everything comes to a head after the second chorus, when a wall of sound hits like an emotional tidal wave and the lead guitar sets off on an anthemic exploration of its own. Jack Cross’ solo is packed with soul; he captures the weight of the lyrics in octave jumps that make the echoey highs sound higher, and the lows lower. Suddenly the air is thick: What was once a series of lightly-layered instruments now feels abnormally overbearing. Soft Corporate’s dynamic trip through the battlefield comes to an uncertain close, leaving the listener to come up with his or her own conclusion. “Boats” is as mesmerizing as it is entrancing: The song’s slow-burning rise is offset by a constant push forward that commands our full attention, both in body and mind. Seldom can a band manage to be enlightening and subtle at the same time, yet Soft Corporate persevere with evocative melodies and deep lyrics that force us to dive deeper inside the song, and within ourselves. “Boats” is a song for moments of clarity and solemn reflection: One can wallow in the tear, or find the courage and strength to take action in the music’s pulse. Allow Soft Corporate to whisk you away: “Boats” is truly a perfect storm. The band’s debut EP Good Things Will Happen is scheduled for a July 15 independent release. Don’t miss this 2016 artist to watch, and be on the lookout for more from Soft Corporate this summer!